The adult moths have an intricate brown and white pattern on the wings. 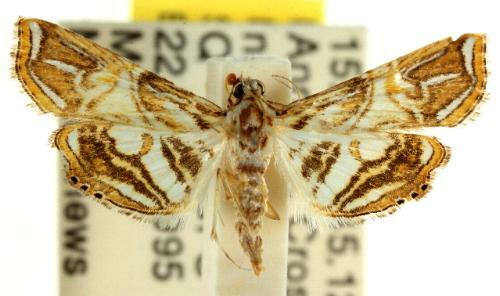 The species was thought to be the same as the Australian species Ambia eromenalis, and much confusion occurred before the two species were declared to be distinct. Part 19 (1859), p. 958, No. 1.